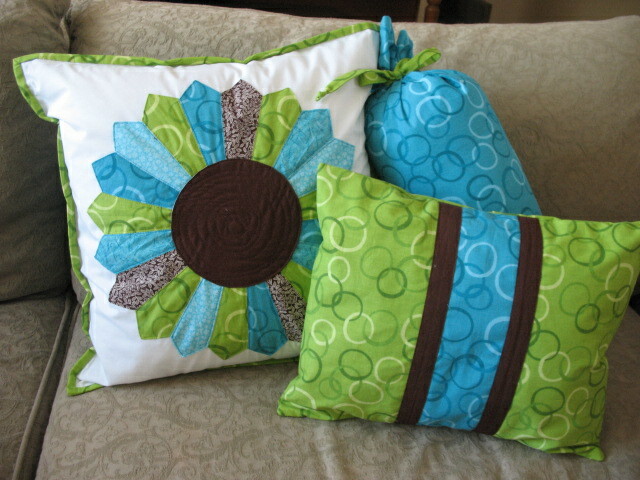 Here are the pillows I finished for my trade with my friend Shelly. These will go into her 15 year old daughter's bedroom. I was happy that she sort of just let me do what I wanted. I LOVE how it turned out for this pillow project. Perfect colors for a teenager! Very, very cute! Nice work.